I previously reviewed the first book in this series, A Royal Pain. Max and Bronte are finally getting their happily ever after and of course Bronte’s dear friend Sarah has to be at the wedding. As a woman who has focused much more on her career than her love life, Sarah is less than experienced in the bedroom, but Max’s rakish younger brother only sees a ravishing young woman. When Sarah proposes that the two of them have a fun and commitment-free weekend, Devon thinks he has hit the jackpot. As he begins to spend time with the smart and beguiling young woman, though, Devon realizes that she is far more than he bargained for – she’s the woman for him, if only he can convince her of that. Oh, you guys, I’m loving on this series so hard. They are just FUN. I actually think I liked If the Shoe Fits even more than I did A Royal Pain. Part of it is that Sarah James is just such a lovely heroine, even better than Bronte. I also loved Devon even more than Maxwell, although part of this – for both characters, actually – is that I had already met them in A Royal Pain, so I was invested in their lives much more quickly than I might have otherwise been. 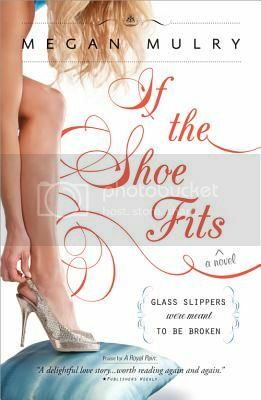 Sure, If the Shoe Fits follows formulas and conventions of its genre, but Mulry does it with such a great voice and such fabulous characters that it still feels fresh and wonderful. Highly recommended. Okay, guys, so evidently I *d0* like some romances. I’m thinking in addition to stuff like this I would might like historical romances. Any recommendations? I’m glad you enjoyed this! I haven’t read it and am still so-so on romances (I went through a huge romance and chick lit phase before I met my husband), so I don’t have any major recommendations, but I was a huge Nora Roberts fan (my favorite was the Key trilogy and The Three Fates).